But wait! That’s not all! 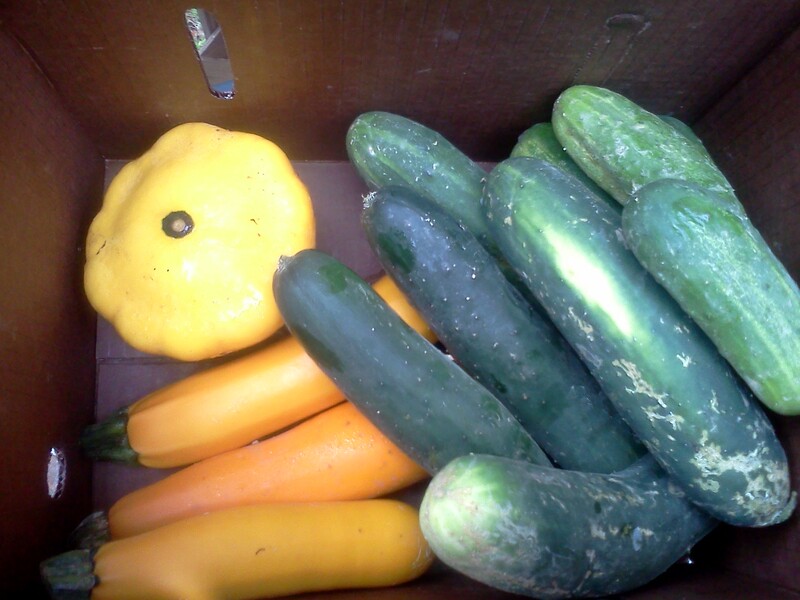 Still in the box are a patty pan squash, and tons of cucumbers and zucchini! I was so excited to get my box today. It looks fantastic! 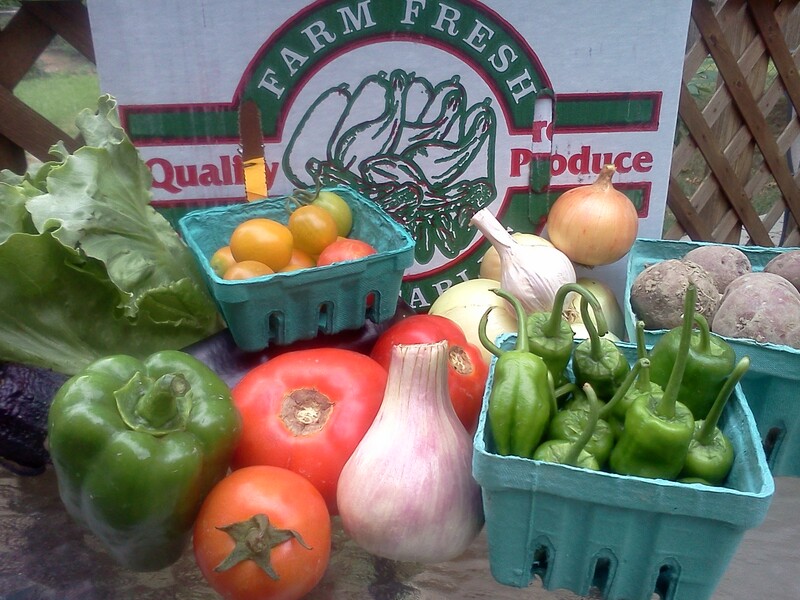 I’m seeing fried eggplant and zucchini in my near future, and maybe some salsa with the tomatoes, peppers and onions. I’m not going to lie – the cherry tomatoes barely made it home to get their picture taken. And they were delicious! It should be a good week!! This entry was posted in General on July 20, 2012 by Melissa. Wow, that looks fantastic! That is a lot of cucumbers. Brian will lke that. I love the little yellow tomatoes. I used your compound butter tonight with shrimp. It was so good. I would post a picture, but am having trouble downloading pictures again. Might need your help to figure that out. Enjoy your yummies! It looks like you got your computer troubles straightened out, since you posted that yummy lasagna and beet pizza! I’m so glad you liked the herb butter! I ended up making pickles out of some of the cucumbers, since there were so many! Each week just gets more amazing. I’m going to have to work harder to use all this great stuff! Come and link up this post to the party when you get a chance…http://inherchucks.com/2012/07/19/whats-in-the-box-35/. Looking forward to seeing you there!